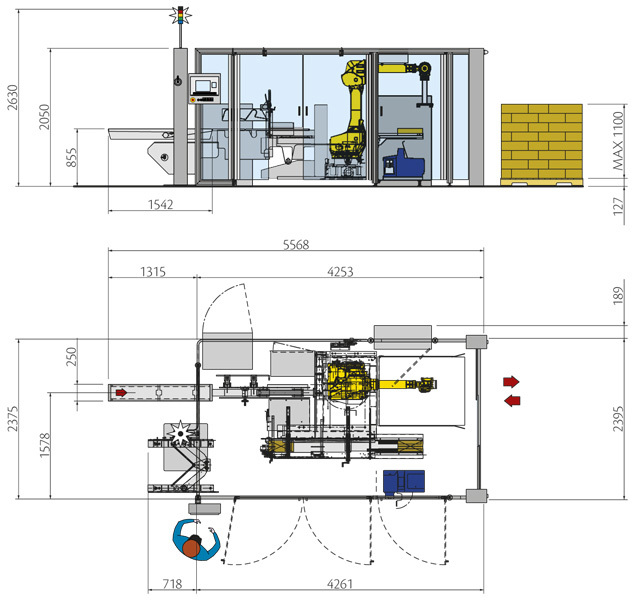 Perfect when space is limited at the end of a bottle line, but also when smooth handling is a must, even for difficult or unusual shapes, this servo-driven, top loading case-packer and palletiser features innovative solutions including a 6-axis robot. Safe and space-efficient, for easy case packing and palletising. The Vertical Cartopallet has been designed with an eye to ergonomics and safety, as well as being a space-efficient solution. 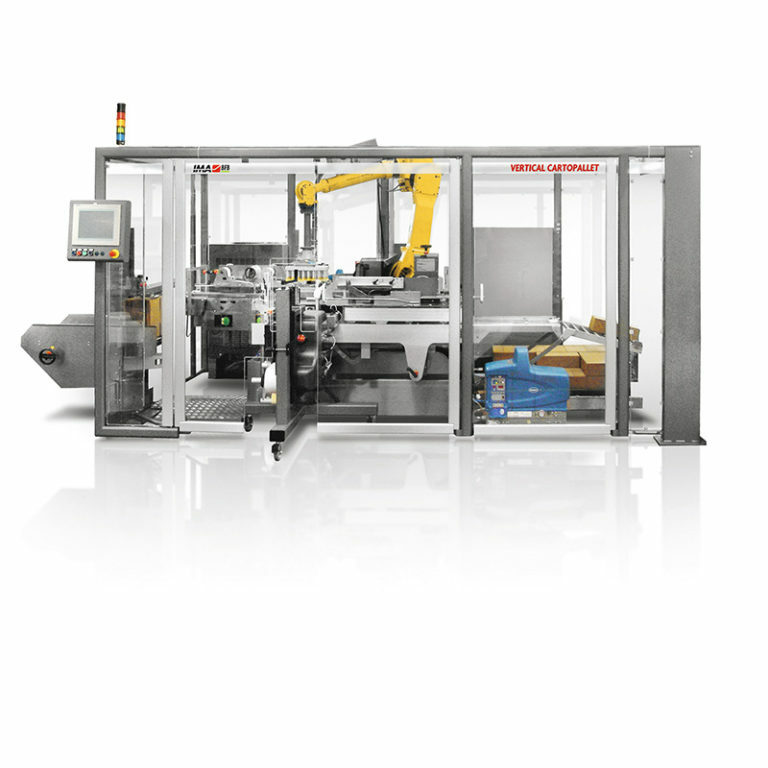 Machine components can be reached from the operator’s side and the horizontal case magazine allows easy manual loading of flat cases from floor level. Safety features are present in the pallet removal area to safeguard operators, who will enjoy the simplicity of the large, easy-to-use HMI. 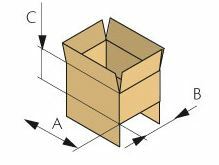 Use of the 6-axis robot to pack the case and place it on the pallet according to a pre-set pallet pattern means that cases can be weight-checked, inkjet-printed, labelled and any faulty products automatically rejected. Cantilever design on both sides for great accessibility and easy cleaning. Large, comprehensive operator interface for simple changeovers simple and diagnostics. Can be equipped with different feeding systems according to product. 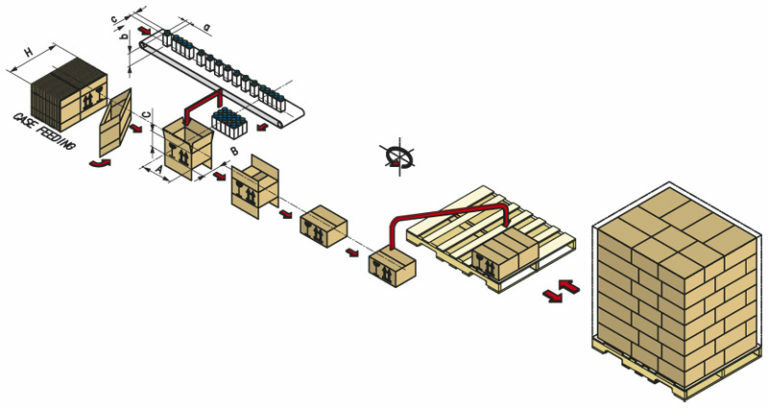 Optional second pallet station for ongoing production during full pallet discharge.